Parking Free! Free public parking is available on site (reservation is not needed). 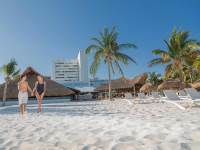 This resort is in Cancun and provides a private white sand Caribbean beach. 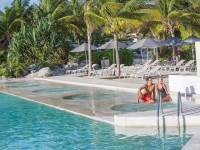 The resort offers massage services, 5 restaurants and bars, 2 outdoor pools and a rental car desk. 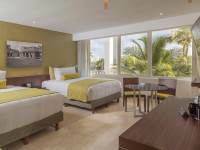 Presidente InterContinental Cancun Resort rooms include flat-screen cable TV and an iPod docking station. 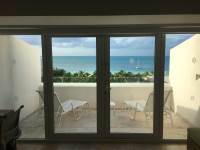 Guests can stay cool with air conditioning and marble floors. 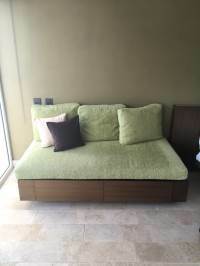 Rooms also include WiFi access. 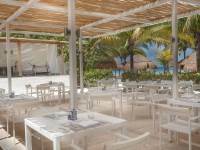 The Presidente features the Cana Brava, which is a beach and poolside restaurant open for lunch. 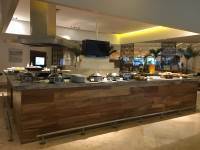 There is another restaurant called El Caribeño and a seafront bar. 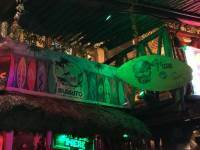 The Tequila Bar offers the 600 different varieties of tequila. 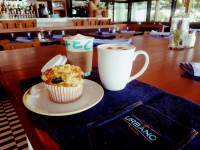 El Café features coffee and breakfast foods. 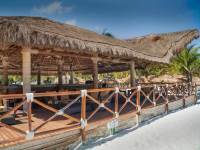 InterContiental Cancun Resort provides water sport rentals on the beach or guests can sit in one of 5 hot tubs. 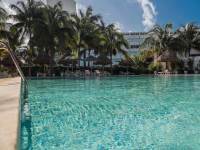 The Presidente Cancun Resort is 8.1 miles from El Meco, Mayan ruins. 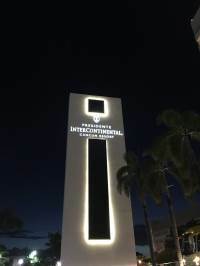 The Cancun airport is 6.8 miles from the resort. 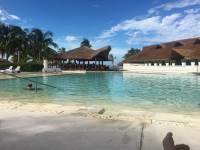 My wife and I have been to the Riviera Maya area many many times over the past 16 years. Ive been in constant search of the best beach with warm ,calm,clear water.The warmth/clarity of the water in cancun is hit and miss. 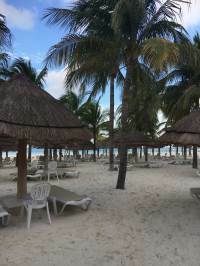 I can tell you right now we're the two best beaches in the Riviera Maya areaare..The first one is Playa Norte on Isla Mujeres and the second one is right here at the Intercontinental Presidente Resort Cancun ..this place has one of the best beaches by far. Its the warmest, clearest,calm water anywhere in the area.This is not a adults only resort ..it is a nice hotel for casial/ business/small conventions. It kinda feels of a small resort hotel mixkids are welcome but rarely seen there.Hotel is small so it makes it easy to walk around.All the food we had was good to great. It is not all inclusive but we ate and drank everything we wanted for 5 days and my total bill was $400. 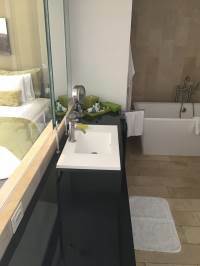 Get the upgrade to the Caribbean Suite,The rooms are bigger/ outside shower.. it is well worth it .The upgrade gives you access to a privileged food/bar area with a an extremely nice waiter who's been working there for 10 years. 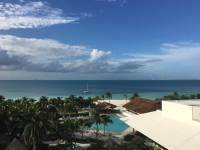 It is the first privileged area we've ever found that is worth it.This place is really neat, has a beautiful Lobby, great food,great beach and very affordable.Overall we had a great time and I would highly recommend it to anyone. -I normally buy our trips through..Bookit or Apple Vacations. 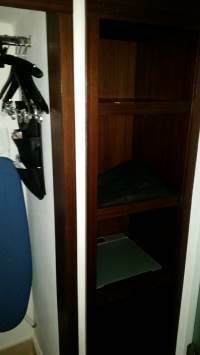 Most of the other booking sites I've had bad experiences with.-Airport ..get to your departing airport early and buy "emergency row exit seats" $20 each.. tons more room.- Hotel..Talk to manager and ask for free upgrade, if no...tell him youll pay $100 CASH for a week long master suite room..8 out of 10 times it works.-Take a taxi to El Ray ruins in cancun.Yes, there are ruins in Cancun.10 miles south of hotel zone,to far to walk. From El ray, take a long 2.2 mile walk north along the beach sidewalk to the new Myan museum. 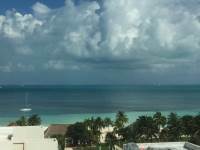 Walking in Cancun is dangerous due to the fast traffic.Hope this review helps.. The location is on the main street of the hotel zone, the north part.Private beach with jet ski tent (75$) and Canu (free + tip for the hotel guests). 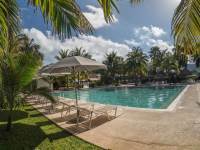 2Swimming pools and Jacuzzi + SPA.In front of the hotel is SUBWAY (enhanced to a kind of grocery store) and a bus stop.10-15 minutes walk from Cong Bongo club and dock with shuttle boats to the island of Isle Mucheres. Both + another dock can be reached by bus, short drive.The hotel offer restaurant "Café Orbano", very slow service (was almost empty, attention is given to serve food on the beach.The breakfast bufe is excellent , a breakfast you can dream of, many kind of fresh muffins,Among others .Very strong WiFi all over the hotel.In the room (221) : big room (didn't like the design), refrigerator (no microwave), safe, circle glass table with chairs. TV attached to the wall. Pave floor, no carpet. 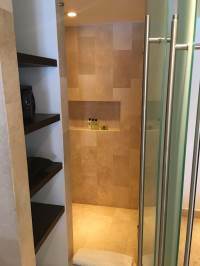 Good shower (no bath)The Minibar/ Refrigerator will be locked unless you give your credit card details to the lobby when checked-in.Fitness room: very good.The Tip IssueBother. You are expected to tip for everything. 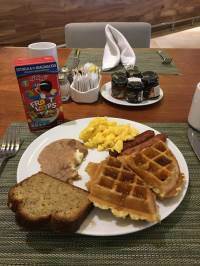 Even the breakfast is included, Everybreakfast you get check for this breakfast to your table, to sign (and add the tip..)If the breakfast includes in the hotel price , why to get check for every breakfast ? 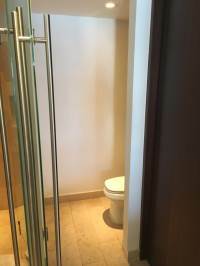 Great property, with absolutely top-notch customer service! 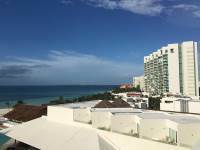 The property itself is beautiful--recently remodeled, with a beautiful beach, plentiful palapas, quality restaurants, a great spa and nice proximity to night life and shopping, without being "too close" to the more rowdy/party-oriented parts of Cancun. 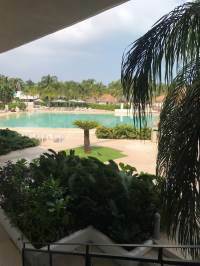 The pools are generously sized, seating is plentiful and the property is big enough that it never seemed crowded, even though it was at high occupancy during my stay.The quality of the staff is what made the experience exceptional. Workers were extraordinarily accommodating and helpful; everyone seemed to be focused on providing a great guest experience, and everyone seemed to truly enjoy their work. 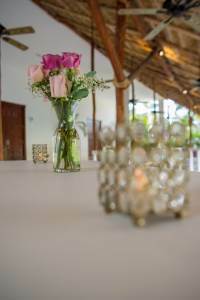 No staff member ever seemed rushed, disinterested, bored or distracted.I had read online reviews of the resort before visiting, and during my visit it appeared that previous guests' complaints and criticisms had been addressed, and adjustments had been made. This responsiveness is impressive.During my stay, I felt more like I had been welcomed into the home of very helpful friends, vs. staying at a resort. I spend 100+ nights in hotels each year, and I'm fairly critical, often letting properties know about disappointing aspects of my stay. 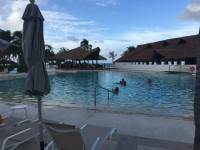 But I highly recommend the InterContinental Presidente Resort--I was there for several days and I simply found nothing to complain about. This is one of my favorite places on earth. 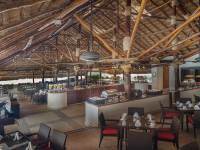 The property is beautiful with comfortable rooms and a magnificent beach. 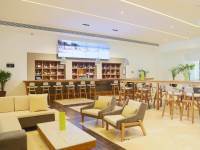 The staff makes you feel at home, welcome and pampered. 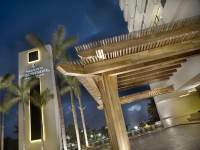 The head concierge Adolfo De la Torres and his staff makes sure every detail of your stay is perfect. This is my favorite place to rest and refresh. Second time back in a year and this place continues to WOW me. I’m so thrilled to have stayed here again this time for five amazing nights Sept 27 to Oct 2. I again used Canada Transfers to get from the airport to the hotel and that was $33 USD for two of us in a private vehicle. 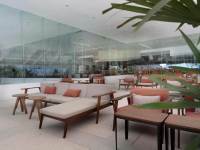 This time around my Status has risen to IHG Spire Ambassador and these benefits certainly paid off. 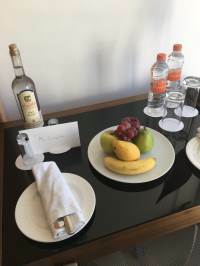 The welcome gifts were a great touch as was the flawless room, 604 with access to the great Club Intercontinental.I had breakfast every day at the Club and this was always excellent and tasty. Eggs, bacon, waffles or pancakes, breads, pastries, fruits, cereals, yogurt, beans, tortilla chips an potatoes. 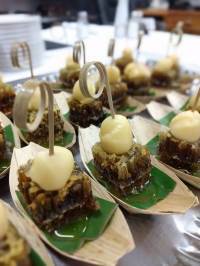 Canapés in the evening we’re always to a high quality. One evening they had baby back ribs which were to die for. The stir fry beef was also a huge hit. Food at LeCap was also excellent. 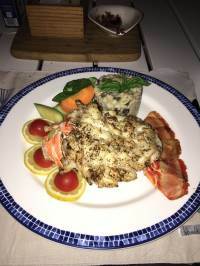 The lobster was absolutely mouthwatering and well presented!Staff at the hotel are first class. I must really single out Humberto the concierge and Arcangel who works extremely diligently in the Club InterContinental Lounge. These guys are an absolute credit to the organisation. The only annoying thing about my entire stay is the internet policy. Each room apparently is allowed two devices onto the WiFi network. This poses a problem when two people are in the room with two mobile phones each, two iPads and two laptops. Some of us do need to work whilst on holiday. I’m in top level management in a hotel, and this is something I would never implement. Instead at my hotel, we tripled our bandwidth so our guests can have as many devices as they need logged on at any point in time.If you are looking basic groceries and cheap drinks, head to the convenience store across the road. A six pack of Corona was 66 pesos in the 355ml can. Sodas were just as cheap compared to 65 pesos for one in the hotel. 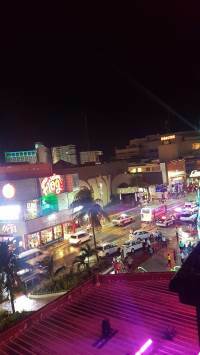 If you are looking for cheap souvenirs, there is a lone souvenir shop just by the petrol station across the road where I got shot glasses, shirts, key rings and magnets at very low prices compared to other places I went in Cancun and even Playa Del Carmen. I will definitely be back to my Mexican paradise in 2018! Top of the line Hotel!! Service was Beautiful, we used the continental breakfast, delicious, plentiful and displayed with elegance! 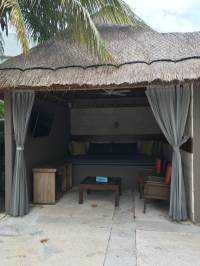 !Loved the Beach area, the Thatched umbrella, they had an outlet for your phone and a place for ice to keep your beverage cold, I felt very pampered, this was not an all inclusive but we really enjoyed the pool and the beach, our room was a 10 + ! !Highly Recommend!! My first time there and it will not be my last. 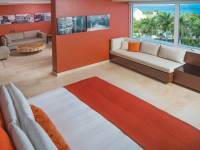 I booked a 4-night stay on points for an anniversary; I have elite status with IHG. 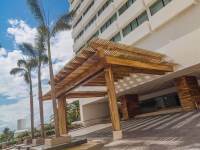 I was welcomed by the concierge, Humberto, who was so friendly and went out of his way to make us feel welcome. I received an upgrade and a bottle of wine for the special occasion from him. What a great way to start a vacation, thanks Humberto! 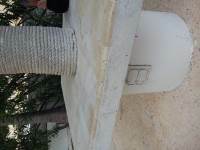 He also helped us plan travel to a cenote south of playa del carmen.The room was fantastic with a super ocean view. 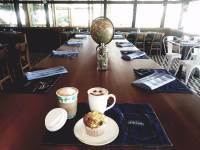 The food was excellent and use of the Club Lounge was a nice way to start the day with breakfast. The beach has awesome views with soft white sand. They have 2 very nice pools with many food options outside. You are about a 10 min walk from restaurants and discos. There is a great low-cost option for massage called Bamboo massage within walking distance. Their normal gym was closed, but they had another smaller one open one floor beneath the lobby, which was adequate.You can save money by hailing a taxi from the main blvd, instead of having the hotel call you one; or even better, take a city bus that goes to el centro or other parts of the hotel zone. My boyfriend and I spent 6 nights at the hotel. 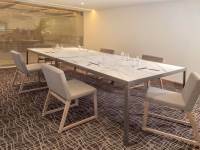 The staff were courteous and attentive. The restaurants on the property served delicious food. The beach was stunning, clean, and very swimmable. The one big downside of the experience was the number of unreasonable policies the hotel has. The room comes with a mini fridge. Guests are not allowed to store any of their own things in the fridge, not even a bottle of water. If you as much as remove a bag of chips they've placed in the fridge to make room for your bottle of water, they will charge you for the bag of chips. And they stocked the fridge to the brim with beverages and snacks, so there's no room for anything else. Similarly, you cannot take any of your own food on the beach (or anywhere else on the property). I'd understand this if the hotel had an all-inclusive option. It doesn't, so this forces you to always buy everything -- including water -- from them. Their prices are quite expensive, making this a pretty annoying situation. Moreover, there was very loud construction the entire time we were there. While the beach was peaceful, we couldn't avoid the loud power tools breaking through concrete for five full days.One other point, which we didn't bring up during check-out because we didn't want to get anyone in trouble: $60 went missing from our backpacks. $40 was taken from my boyfriend's and $20 from mine. While we felt violated, we figured that whoever took it, must have really needed it (maybe naive, but better to give them the benefit of the doubt). Hopefully, someone from the hotel reads this review and reminds their employees that stealing is not acceptable.A note about the service: employees are super attentive, sometimes too attentive. We'd be asked if we wanted drinks or food on the beach every 10-15 minutes. Considering we spent hours there, it became a bit annoying. They're very kind and courteous though, so it didn't bother us enough to avoid the beach (that's what we were there for).We'd definitely go back if the policies were made a bit more reasonable. 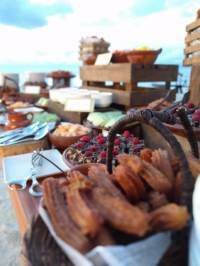 Allow outside food on the beach and/or offer an all-inclusive option. We'd also check to see in advance if they were planning construction at the time of our trip. Stayed in Intercontinental in Sep. Top floor room with the ocean view. Pretty modern and minimalistic decor but with poor, in places, finish - i.e. you can tell where workers left a grout on the tiles in shower room. Thankfully the tiles colour makes it less obvious, just pitty it was not done properly. This is just an observation. 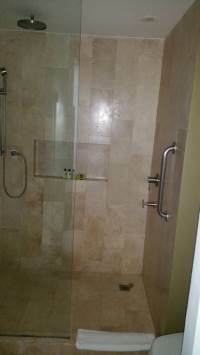 In regards to overall room - very happy, the only criticism would be regarding lack of drying facility / space. Our room, although with a great view did not have a balcony and no facility to dry our clothes. Considering this is a beach resort this is less than ideal. 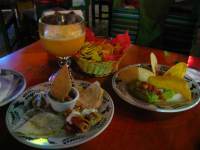 Breakfast - again, pretty good with great selection of choices, from european to mexican cuisine. Staff polite and attentive without being overbearing. Most of the time we were served by Gonzalo from the outside bar - great service. Will we stay here again - yes. Our room was absolutely fine - very clean and nice with a good view- no complaints there. 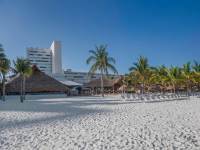 The beach was also the best of the resorts we saw in Cancun. 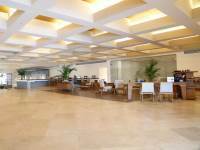 Front desk staff was very hit or miss – our first encounter, unfortunately, was completely incompetent. Subsequent encounters were super pleasant and no issues at all. ice machines were broken on at least a couple of the floors, making it inconvenient to keep our drinks cool. The restaurant was fine, but they forgot one of our orders. If I were to go to Cancun again, I would consider staying here. 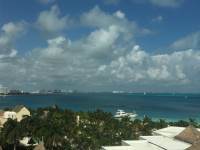 We stayed at the Intercontinental Presidente in Cancun the last two nights of a weeklong trip to Isla Mujeres/Cancun. Arrived from Isla on the ferry, walked across the street and took the bus to the hotel arriving at 10:00 AM. The reception area is beautiful. We were immediately greeted and assisted with our luggage, then the porter walked us to the priority check-in desk where we were treated wonderfully by all staff. 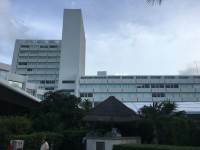 The hotel is undergoing some renovations but they were not bothersome, although at times during the day while at the pool, we could hear the construction. The manager upgraded us to an ocean view room that was ready and allowed us to be in our room by 10:30 AM. 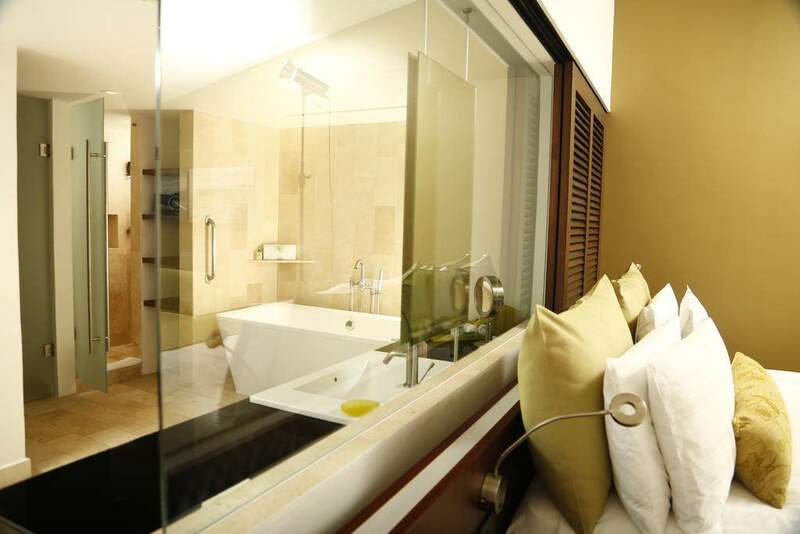 The rooms are huge and the bed very comfortable. I can't say enough about Humberto Santos, the concierge. In our short stay he was very kind and helpful. With our platinum membership "free wi-fi" I didn't realize that it was limited to two devices and both our phones had already connected. I needed access for my iPad. Humberto kindly gave me another wifi code to use for the duration of the trip. The next day I was booking a transfer to the airport and entered the wrong pick up time. I tried calling the local number unsuccessfully. I then went back to Humberto who called the transfer company, got the time changed, and helped me log in and print my transfer passes. He also gave us very easy and clear instructions on how to use the buses to get to restaurants/shopping and back to the hotel. FYI- busses are 12 pesos and SUPER EASY to hop on/off to get anywhere in the hotel zone. 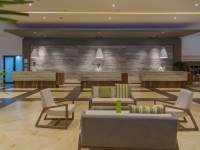 The lower cost for this IHG hotel, compared to some of the other resort hotels, is primarily due to location. While the hotel is on the beach, with very nice beach chairs and umbrellas that are complimentary, the beach itself is just OK. There was a bad odor and seaweed in certain areas. 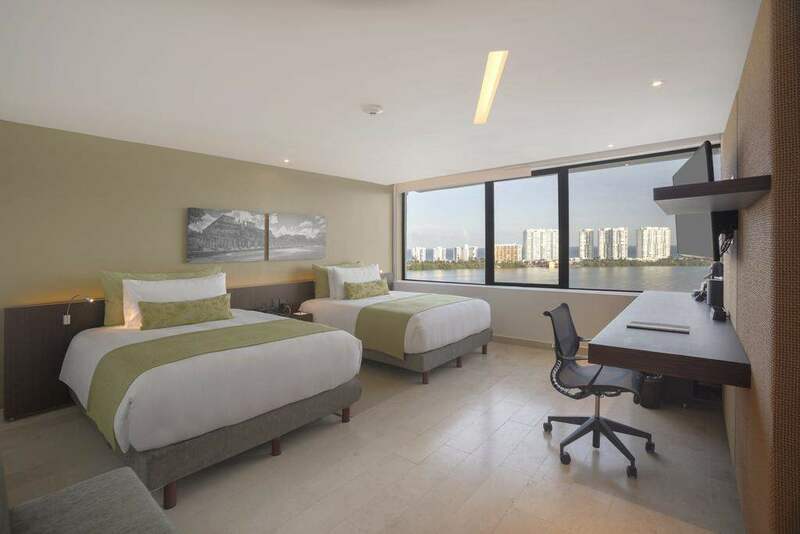 So if your goal is to hear waves crashing (wrong side of island for crashing waves,) on the white pristine beach, then this is probably not the location you would want to stay in Cancun. 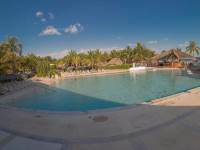 The hotel has two huge pools with plenty of sunshine or shade, and several outdoor activities. 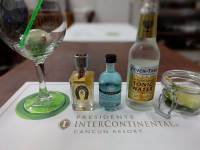 While our stay was short, Presidente Intercontinental was a great ending to our vacation. From checkin to the housekeeping staff, pool staff, concierge, front office food and beverage staff in all facilities are ever so friendly. Nothing was an issue and of course the upgrade was appreciated. 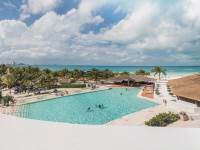 I had an awesome relaxing time and enjoyed food drinks beach and the pool.Its not the newest hotel hotel in Cancun but its the friendliest and they are always updating and refreshing the hotel without disturbing guests. Thank you so much. I would recommend picking this hotel. Superve Hotel at Club Level. 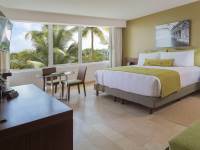 Generous size room with unbelievable views of the mar Caribe. Staff was very attentive all around, but in particular Martinino, or Waiter from the pool restaurant.The pool is big and always refreshing, the back pool gets hot some days.Great location, near the center of the hotel zone but just enough distance away from the Hussle busel of the"Clubs Zone" Price is high to moderatelyprice and not all-inclusive. 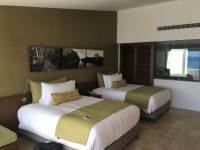 Travelled in a group of 7 people and had booked in 3 different hotels throughout our stay in Mexico. 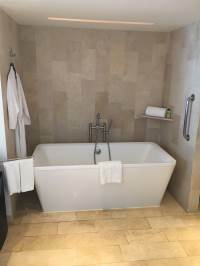 This was the one I was most looking forward to as its a top reputable hotel brand name so you expect top quality right? Boy was I disappointed...nothing spectacular at all..maybe my hopes were too high?..who knows. But I've stayed in the Intercontinental in Cairo (next to City Stars Mall) and that was something out of this world...just saying.Things I liked:- Beach- Spa and Gym- Its location...close to main strip of various food outlets and bars/clubs- Staff in the breakfast room, at the swimming pool bar, and outside the hotel where you get dropped off/picked up from. They were all so polite and friendly especially the staff at the entrance door of hotel..always recommending places to go and dine etc.- They lend you umbrellas at the front desk (near entrance doors outside)- Beds were very comfortable and clean.Things I didn't like:- I found the Reception staff to be quite rude and sarcastic when I wasn't satisfied with the rooms given....we booked 3 rooms for 8 nights.- Housekeeping wasn't up to scratch for a 5 star hotel...always missing tea bags and sugar and everyday I would have to call their switchboard or something, in which they would then have to transfer me to the correct department...such a long process to order more sugar to the room? 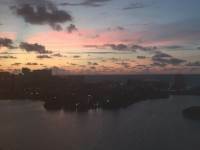 What happened to having a direct number to room service?- Rooms were very bland and plain for the brand....nothing special at all.- No fun in having your breakfast in hot and humid conditions outside where birds peck at your food. They should really have an air-conditioned section to make it more pleasant for people who don't want to sweat whilst eating their meals in the morning...especially in a country where climate is hot and prone to heavy showers too.- Who locks a refrigerator? 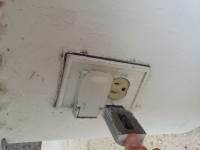 I found this bizarre and unheard of....we had to pay $2000 pesos a day to have the key for the fridge in the room....they put a hold on your card until you check out. What if I didnt have that much money in my account every day? I couldn't store my children's milk to drink before bedtime every day? Or my mother's medication? Ridiculous I say!- Lack of entertainment. Hotel was quite boring...no animation team, no water activities to get people together, no night entertainment...no nothing! Not family friendly at all.Overall I'm sorry to say but I would NEVER be staying here again, nor do I recommend it....and I work for an airline so I have stayed in many 5* star hotels around the world and this was a disappointment for me.I preferred Playa Del Carmen to Cancun anyway..thats where we stayed for 3 nights after staying here...now I really wished I stayed less here and more in Playa Del Carmen especially as our hotel was near 5th Avenue where the main strip of shops, malls, bars, restaurants and beach were.Anyway if staying in Cancun, opt for the all inclusive RIU hotel, which is 3 hotels away from this one. It looks like a huge White palace with 2 domes...looks beautiful so check that one out instead! Looks way more lively and fun!Adios Amigos! We come here for the beach/pool service. Martininea (spelling) has been taking care of us for 15 years. He's great! As soon as he sees us he smiles and brings our drinks. We don't need to order. He's worked here 35 years so must have a ton of regulars. This time we stayed in club level. I highly recommend it. 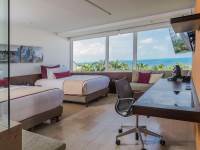 The room was gorgeous with a king size bed facing the ocean. We had a beautiful balcony and sat there and had coffee every single morning. 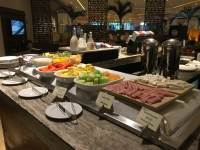 The breakfast was decent; in the afternoon snacks and drinks were great. Unlike most club level hotels, the Presidente allows you to order from the bar so you're not limited to beer and wine. I love the pool area and I love the restaurants and I especially love the beach. Best in Cancun. 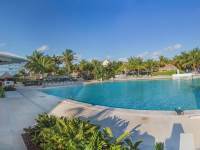 Location can't be beat; walking distance to restaurants, clubs and bars. But what keeps us coming back to the president day is the service that we get from our special waiter. Stayed here two nights. Nice beach, white sand. Decent room service, not spectacular but not bad. Convenience store and a cheap place for fish tacos walking distance across the street. Only complaint is the pillows and bed were too soft. We visited the Presidente Int. 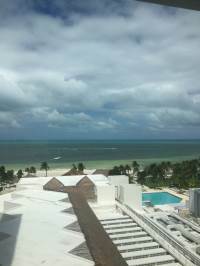 Cancun in July and we had an overall excellent experience. We especially wanted to mention the amazingly helpful staff. In particular Oscar Monterroso, the Bell Boy. He was professional and took great care of us - and was an incredibly friendly and sweet guy. We will definitely return next year. The hotel was very modern and clean. Staff were friendly and helpful. Beds were very comfortable. The beach was really gorgeous and had plenty of chairs and shaded areas. The night we checked in we were trying to find a place to watch the McGregor--Mayweather fight. We were pleasantly surprised to find it playing on our room TV. 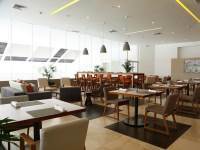 They had a decent fitness center and the few meals we had at the restaurants were good. 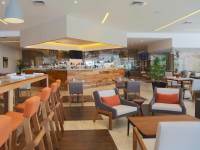 Reasonably priced hotel located near restaurants and shops. Okay, let's start with the positive. 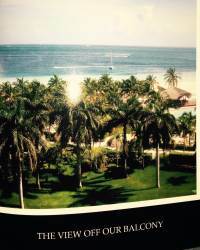 The service is superb; particularly memorable are those out front, on the beach, and the maid crew. The beach is beautiful and set up for your comfort. The food we had on and by the beach was very good. 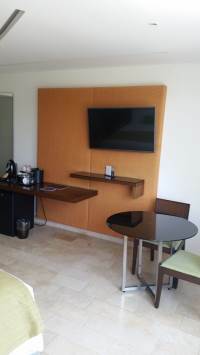 Our room was very comfortable - bed, rain shower, towels, bathrobes, amenities (soap to shampoo), and television.Check-in was jumbled and lengthy, thanks to poor coordination between IHG and the front desk, and because the front desk played games that were not professional. 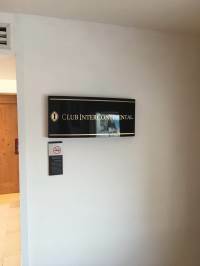 We were there at a low occupancy time, but they did little to accommodate us, even though my daughters have done great promotional work for IHG and have a boatload of points. I say this as someone who has worked in the business. Also, the air conditioning was fine in our rooms, but clearly insufficient everywhere else, from lobby to hallways. 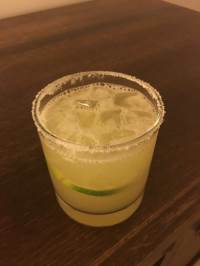 Though we had delicious pina coladas from the beach bar, the margaritas we had at the lobby bar were bitter and indicated cheap liquor, huh? 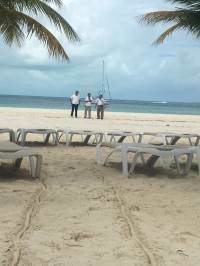 Finally, the hotel has a great sailing charter available on the beach - Paul and Javier are great - but does nothing to help promote this sea adventure. Fix this. Stayed 5 glorious nights. For us is a 5 star hotel for accommodations, all staff courtesy. Our room 4th floor, ocean view, very modern room, very comfortable bed, love the rain shower, maid leaves 2 free bottles of water each day ( mini bar extra cost). Ady worked very hard cleaning our room making towel swans and tp flowers, can't say enough about her or her work ethic. Two other staff members stand out, our Bellman Antonio treated us like we were royalty from first sight to day we left. The other is Humberto Santos, Concierge. It would take thousands of words to describe how well this person took care of us for all aspects during our stay AND continued when we returned home. If I could recommend him for concierge of the year I would, that's how incredible he is. I hope if the hotel reads this review they do something nice for him. Anyway he is fantastic. 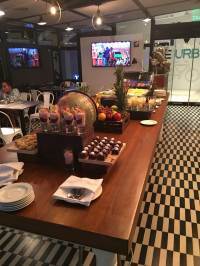 Restaurants: mostly ate in Cafe Urbano, food was pretty good , prices decent, nice staff. Pools: unfortunately the pools are very warm (found out this is a regular practice at most hotels). Beach area: again unfortunately the beach is not a great beach to swim, lots of debris, warm water, sand is nice and white and soft, but not very refreshing (not the hotel's fault by any means). I highly recommend this hotel as a place to stay. 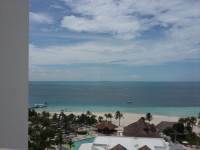 The hotel is very nice with a good section of beach and nice layout. It is not all-inclusive but the food choices for breakfast (if you pay for Club level) are outstanding. 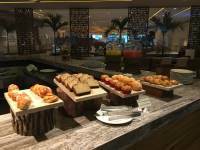 It is not really a continental breakfast - there is a full spread of eggs, meat, pastries, hot dishes, etc. - you will be very full! 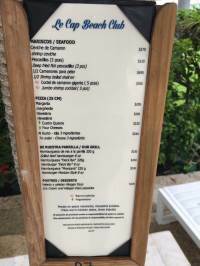 I thought the best food was available at the poolside bar - there were different dishes like tacos, hamburgers, etc. and of course good drinks...Literally across the street catty-corner (about a 5 minute walk at the most) is a very good Oxxo convenience store that has pretty much all the sundries you could need. 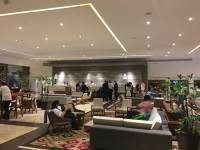 There is also a money changer in the same building on the side to convert your dollars to pesos at a much better rate than you will get in the hotel or other more 'tourist' places.I too encountered the Expedia booking issue - it is impossible to select two double beds at booking vs 1 King bed. I tried calling ahead and requesting after I had made and paid for the Expedia reservation and was told the rooms are assigned at check-in. I then had a Mexican girl that works in our office try and call and got the same answer (credit for consistency! hehe). Upon check-in, we were automatically assigned a room with 1 King Bed. 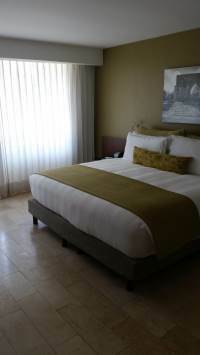 Fortunately, the lady was able to change it at check in to a room with 2 double beds and it all worked out. I must admit that I probably would have been not so enthusiastic about my visit had this not been my luck. It seems this is something they need to tweak in their reservation system.Nonetheless, it is a very nice hotel in a good location with nice rooms and facilities and good food options. We stayed here a couple of nights last week. The hotel was very nice - great rooms, facilities, service. The only reason that i did not give it 5 stars is because we requested a room with 2 beds, and all they had was rooms with 1 bed. The reservation was made through expedia, so i'm not sure who was at fault. Overall we had a great stay and we're typically positive people that leave good reviews, but the way we were teated our second to last day by the beach and poolside restaurant server was horrible...During our 7 day stay, we hung out at the beach for 3 days and at lunch or early dinner there all the days of our stay. 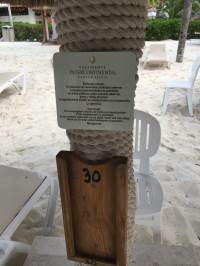 While we hung out on the beach, there was a sign by our table that said that outside food and drinks were not allowed, but on our first day there the server told us it was fine to have our own drink and snacks there as long as ordered something. We thought this was fair and we definitely ordered something and tipped him well too. On our second to last day is when we had the problem... we got to the beach around 12 noon (a little later than we usually were getting there on other days) and took our own drinks. Both me and my wife fell asleep on the beach, until I was awakened by the server walking past who said "Espanol or English?" He then preceded to tell me that outside food and drinks weren't allowed and I would know that if "maybe you read it the sign". He didn't give me a chance to respond, ask me if I wanted to order, or even offer a menu! In fact, there wasn't even a menu at our table! I found out later his name was Salvador. After that interaction, we were on the beach for another 3-4 hours and no one from the staff came over to offer to take our order or ask if we needed anything. 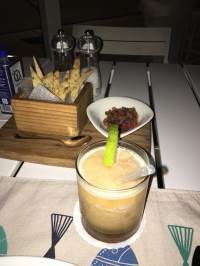 I admit, we were in the wrong for having outside food and drinks... but is that a reason for bad customer service and disrespect? In my book, no. Hopefully Salvador will treat others with respect in the future because this type of service creates for a very bad experience. We had a great time at this hotel. It is very nice and clean. We had a room on the 1st floor facing the lagoon. It also faced the main road so there was some traffic related noise as well. 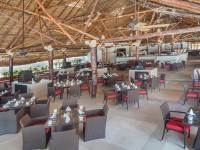 We ate at all of the restaurants on this property and the food is outstanding! Staff is super nice! The only thing is that the room cleaning did no come until around 3-4pm and on two occasions did not come at all. Overall a great place and we will definitely go back. We stayed here on the first night of our honeymoon. We arrived quite early and our room was not ready so our bags were taken and we went off to explore. 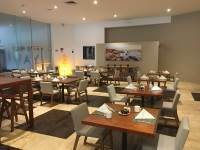 The hotel is in a great location in the Hotel zone, which is some 21km long, and is within walking distance to shops and restaurants. The hotel backs on to a beautiful stretch of beach with calm, turquoise water unlike some other hotels in the Hotel zone which do not have such swimmable beaches. Upon return to the hotel, we were told we were being upgraded and we checked in to an amazing sea-view room. Later that evening we were delivered a complimentary bottle of Cava and some strawberries – a very nice, memorable touch. 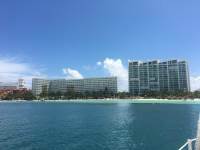 We would highly recommend this hotel for numerous reasons: great location, great beach, great pool and reasonably priced bars and restaurants. 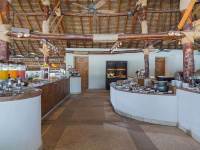 The breakfast buffet was one of the best we have eaten! WOW! EXCEPTIONAL! BEST VACATION OF OUR LIVES! 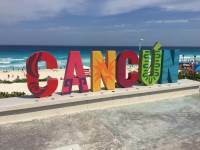 My partner and I traveled to Cancun for the first time from July 27 through the 30th. We looked at the pictures of the hotel, and it looked nice, plus most of the reviews were amazing so we decided to go there. We loved the hotel so much! Everything about the hotel is so perfect. The rooms are super comfortable, the pool is beautiful (the pics don't to it justice). The beach is wow - gorgeous. 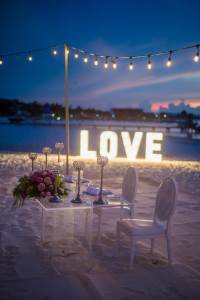 We had dinner at the beach one of the nights, and it was the most romantic thing we have ever done in our lives. They had one person singing and another playing the guitar, the sunset was beautiful, and there was a boat passing by throwing fireworks... it just could not get any more perfect! I cannot say enough great things about this hotel. We loved everything about it, and will definitely go back. 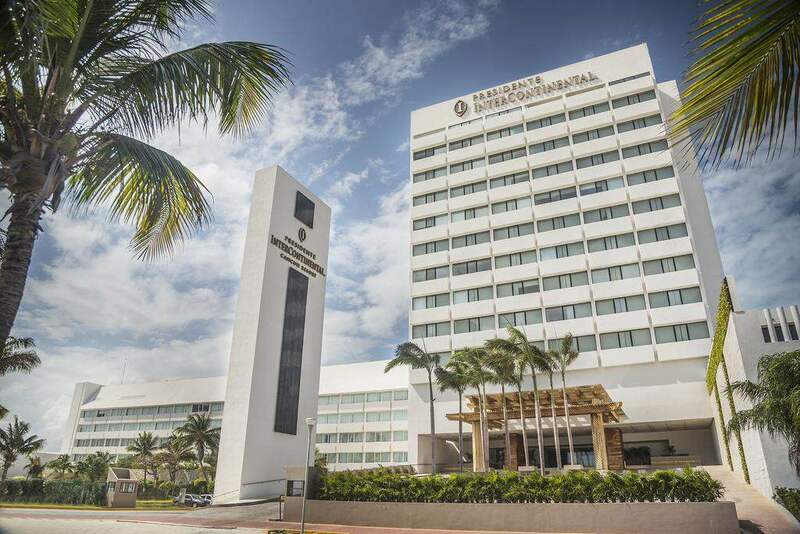 The only two negative things I would say if I had to say anything and I am not sure even if what I will say about the agency has anything to do with the hotel, but just an fyi...There is an agency inside of the hotel for people to exchange dollars for mexican pesos. You need to have mexican pesos as the hotel does not accept dollars when checking out. I did not want to use my credit card because it charges me a percentage for the difference in currency, etc... Well, in order for these people to do the transaction and give you the mexican pesos, they ask for way too much personal information, they scan your passport and ask for you address back at home. We did not feel comfortable with that, and decided to go to the gas station across the street in the corner and just did it there where they ask for no personal information. 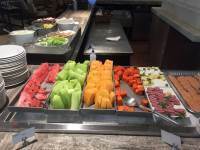 The hotel charges $25 dollars per person for a buffet breakfast as breakfast is not included, and that is way too much money for breakfast in my opinion. Other than that, I loved the hotel, the staff, and everything else about it. It was perfect. I will definitely go back and recommend this hotel to everyone. 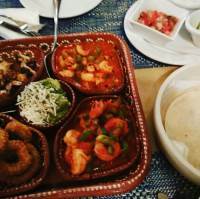 You can have amazing food at Mocambo, Mexican Xtreme, and if you go to Isla Mujeres, go to Playa del Norte, and punta sur (eat at garrafon). 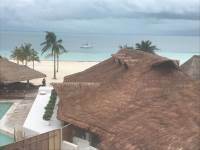 I RECOMMEND THIS HOTEL AND CANCUN IN GENERAL TO EVERYONE! YOU WON'T REGRET GOING! I must say, this is 1st class! 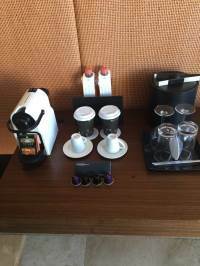 Excellent service, rooms are clean and everyone is so friendly. Special shout out to Adolfo who helped us at checkin and recognized us as IHG reward members. He goes above and beyond. Thank you Adolfo, you made our stay 100% better!! While the setting of this resort is gorgeous (it is the best beach in the area), the people who took care of us made it shine! We came here to unwind and relax and they made it possible. We never left the resort for a meal. Special thanks to Salvador and his team. He was always visible - making sure everyone's needs were taken care of. A special thank you to Irving, Enrique ( always smiling), Vincente, Alexandra and Claudia. We are sorry we cannot list everyone. 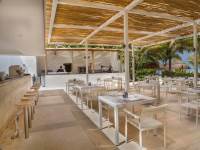 We loved the setting and the food at Le Cap Beach Club, the swings at the deck bar and breakfasts and light suppers at Cafe Urbano. 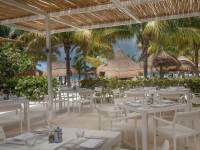 While the food at El Caribeno was excellent, the setting of the other restaurants was more to our liking. Kudos to the chefs, the wonderful person who checked us in and all who made our stay so special! 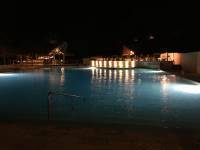 This was our first stay at this resort and we had an amazing time. Their beach was the cleanest, the vibe was good, and their employees were friendly and proactive (jesus was our favorite). We had an ocean view and it was breathtaking. The room was big and the restaurants were yummy. They have an adult only pool which was great also. We highly recommend this place. Excellent Hotel! 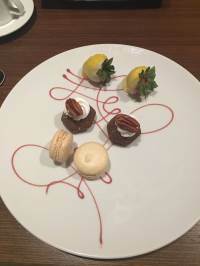 The staff, food, and services were excellent! The best beach in the area and the prices are good. 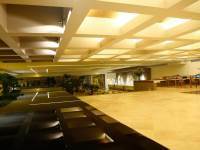 Very nice location and within walking distance from restaurants and clubs. I would recommend staying here!!! 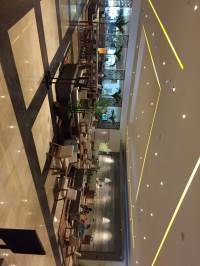 I am a Spire Elite member and stay at a lot of places around the world and this place was awesome. This is the best beach in Cancun. The beach is quiet unlike the very crowded all inclusive resorts down the street. We sat at the beach and relaxed while our kids swam in the pool, hot tub or the amazing Carribean. Never a problem grabbing on the many palapas available. We sit there all day and drink and eat lunch for 50-60 bucks. Many watersports to do there too. I love Flyboard has a booth set up there and is the best flyboarding experience in Cancun. You have to book ahead for that by one day. There was a guy walking around asking if you wanted to rent his sailboat for an hour...139.00...great deal but we negotiated 2000 pesos which was 111 bucks. Sail the Caribbean...why not. The hotel was nice too. We were on the 8th floor...oceanfront. you could take a shower and look out the window at the same time...awesome. The concierge was there at every need. The best! I would recommend staying here than any big inclusive resort. Wonderful stay! Amazing breakfast! Best beach ever! Definitely would come back! Excellent choice! This hotel is incredibly cozy and luxurious at the same time. My wife and I stayed four wonderful nights!At the check-in, we had a very polite and carefully reception. By the way, all the staff were friendly and considerately helpful! Congrats to all! The room was amazing, with a comfortable king size bed!! There was loads of room in the room itself and it had everything we needed including a coffee machine, fridge, hair dryer, iron, safe. And our essential toiletries were changed every day along with attentively clean. Nice job the cleaners have done.Great internet service! WiFi worked even at the beach!The facilities and services were fantastic! 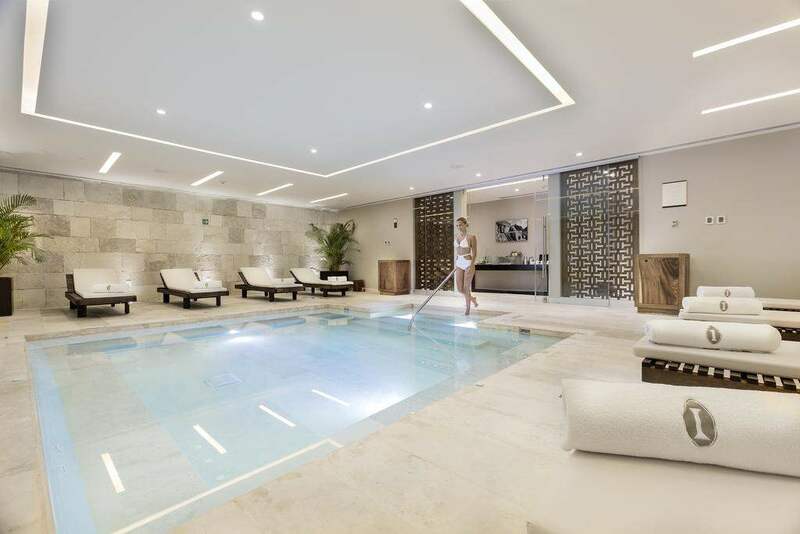 There were available 2 pools along with 4 Jacuzzi type pools too, so we could relax a lot! Surprisingly the pool was not that busy, meaning we never get them overcrowded!! The hotel is literally a foot step away from the beach and the beach is a piece of work! 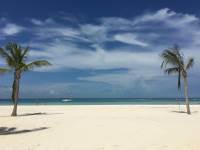 The sand is smooth and the sea is a big pool with no waves at all and crystal-clear green water. Beautiful! They also have a gym, which is essential because of the wonderful meals they offer. 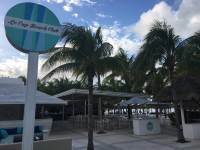 The hotel also has a spa (we didn't use) and 3 different restaurants: we visited Le Cap Beach Club and El Caribeño Restaurant (both with delicious foods!). 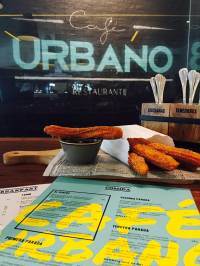 Didn’t have the opportunity to know Café Urbano (Mexican food), but looks great also! 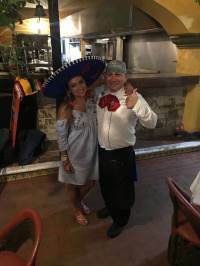 At El Caribeño we congrats Sergio and Miguel, who were always working hard to give us a great dinner experience!The breakfast is something to dream of… all we can say is WONDERFUL! Great quality food and a variety too! 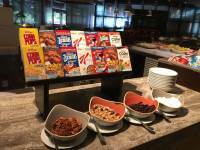 They had many of the things which used to be at any continental breakfast, but they made it much better than any other hotel. 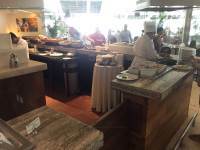 They had all sorts of different stuff such as salmon, tacos, pork, scrambled eggs with spinach, waffles, pancakes, nachos, many fruits, juices, and they made fresh omelets too. They literally had all sorts and all executed there. 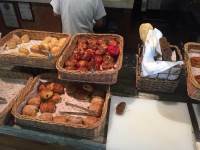 It is important to note that they have different breads and fresh pastries made by their own bakery! Best experience we ever had! 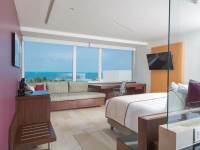 All we can say is that next time visiting Cancun there's no doubt we would book again with Intercontinental. This was my worst stayed ever in my life! The worst quality and no power in the room during midnight for 3 times! 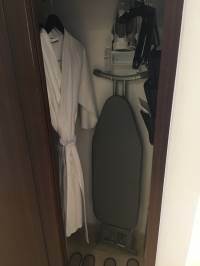 The cleaning lady in my room took my towel away on the first day and I reported to the front desk immediately, they said their staffs will try to look the towel for me but there was no response on the next day! So I total spoke to them 3 times but no one got back at the end. 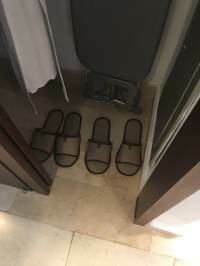 I am staying at Cancun for total 8 days, this is ridiculous that they took my towel (and my towel is not white colour) with their hotel's towel! So now I moved to the other hotel and they promised will contact me whether they find it or not! 6 days has been passed but in vain. This is very disappointed So I suggested if you want to have a happy holiday, don't stay in Presidente! 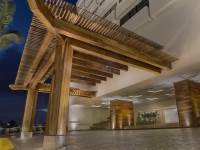 There are many different hotels in Cancun and is competitive. First night at the Intercon, toilet was backed up and the shower head is rusted and moled. nice view at the restaurant, really good lobster bisque, and the flies seemed to agree. were surrounded by more than a dozen of small flies after the food was served. waiters didnt offer any help after watching us trying to fend off the flies non stop. would expect a high standard of service at the Intercon. We had a great time at the hotel. The staff was amazing. Special thanks to Fanny at the restaurant by the pool. Great services. She was always willing to help. She is an A plus. Hotel was.clean and front desk amazing. I have never imagined a hotel stay without leaving the front door for the duration of a four day stay. 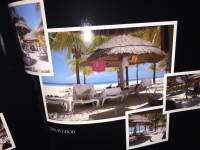 It works absolutely perfect with private white sand beach. 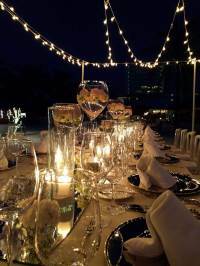 The service everywhere was exceptional whether it was at the breakfast, lunch, dinner or at the beach or pool. If you need to get on a sailing boat just talk to Paul at the beach. One is available for an hour or two so that you can get out and about. 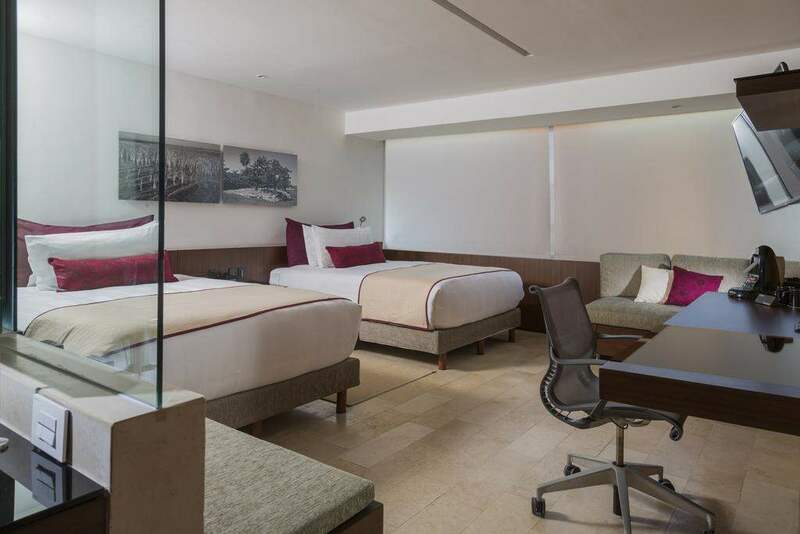 Rooms are nice and the bed is always perfect at any Intercontinental brands hotels. A truly amazing hotel which I will find it very hard to find anything bad at all to say about it.The room was great! We had a king size bed which was super comfy!! There was loads of room in the room itself and it had everything we needed including a coffee machine, fridge, hair dryer, iron, safe, plus all your essential toiletries which were changed everyday along with your room being clean spotless everyday too. (So well done to the cleaners) The hotel itself is also incredible as it has 2 pools along with 4 jacuzzi type pools too. Surprisingly the pool wasn't too busy either which was great so it wasn't overcrowded at all!! The hotel is literally a foot step away from the beach and the beach is amazing too and for some reason the part of the hotels beach is probably the best bit out of the surrounding area you will find. The sand is beautiful!! They also have a gym which i used regularly (trying to make up for what is ate at breakfast which I'll go on about in a sec). The gym has most things you need. Cardio machines, free weights and a couple machines. (They provide you with gym towels and water which is good). 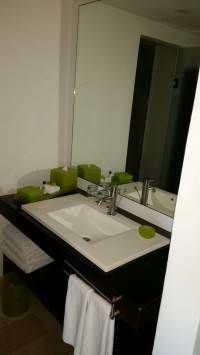 The hotel also has a spa (didn't use), 3 different restaurants and computers to use if you need to print anything free of charge.The hotel is within walking distance of the likes of coco bongo/main strip which is a great location and you can get a bus to most places and they come regularly only 10.50 Pessos a ride (around 50p)We had breakfast included and all I can say is WOW! It was great quality food and a variety too! They had a majority of the things which they tended to have everyday but they always mixed things up too which I found great. They had all sorts of different stuff such as salmon, scrambled eggs with spinach, waffles, pancakes, nachos, fresh pastries, you could make a fresh milkshake, chicken, pork and they mad you fresh omelettes too. They literally had all sorts. Couldn't complain. The staff were very warming and kind. I would also like to give a massive mention to Lucero the receptionist who sorted us with complimentary wine with strawberry covered in chocolate as an anniversary gift, which for me shows the way the hotel take care of you and go beyond the norm.All In all if I was to ever come back to Cancun then there's no doubt I would book again with Intercontinental.